quick beauty fix: It’s hard to imagine spring will come soon with the temperatures in the icy zone lately, but there’s no need to keep the winter mood gloomy. Gift yourself a sweeter pucker now, use VDAY as an excuse to love your lips. 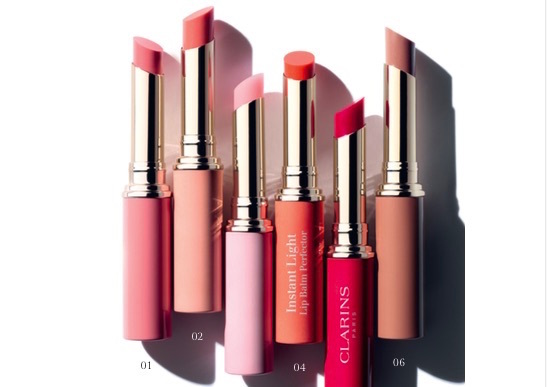 We’re obsessing over the CLARINS eclat minute instant light lip balm perfector. The smoooother than anything texture glides on, moisturizes, gives the tiniest of a lip tint and shines on like wow. Keep it handy to apply all day, just like your usual lip balm, and keep in coat pocket with the chapstick and use as needed to get a little more attention. The color is so light you don’t need a mirror. Love your lips, flirt a little, give a little flirty moisturizing shine to your lips on the go. Comes in 6 shades. LIP BALM for a pre-spring pucker commentary by Brigitte Segura.